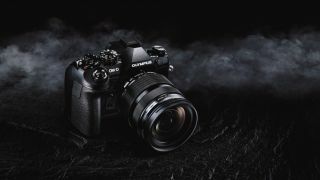 Olympus may have done a great job proving Micro Four Thirds detractors wrong with its original OM-D E-M1, but nobody could have predicted what a leap forwards its mark II version would be. Not only did the company furnish the model with a new 20MP sensor and TruePic VIII processing engine, but it also ramped up the performance of the image stabilisation system to provide up to 5.5EV stops of compensation – and if you use the camera with the company's 12-100mm f/4 IS Pro optic, this extends to an incredible 6.5EV stops. On top of that, the autofocus system gains an extra 40 points over the 81-point system in the previous model to reach 121 points spread right across the frame, while burst shooting now tops out at blistering 60fps. True, this is with AF and exposure locked to the first frame in the sequence, but even with continuous focus enabled, the 18fps maximum burst rate still trounces pro-level DSLRs. And we haven't even got to video specs yet: 4K video recording in both 4K UHD and 4K DCI flavours, with a 24p option and recording at a maximum bit rate of approx. 237 Mbps, together with the option to extract stills from captured footage. Add to that the ability to shoot 50MP images in its High-Res Shot mode, and the partnership of a high-resolution OLED electronic viewfinder and articulating display, all inside a weather-sealed body with two SD-type card slots, and you have a formidable challenger to more traditional pro-grade DSLRs.